A Crazy Job. 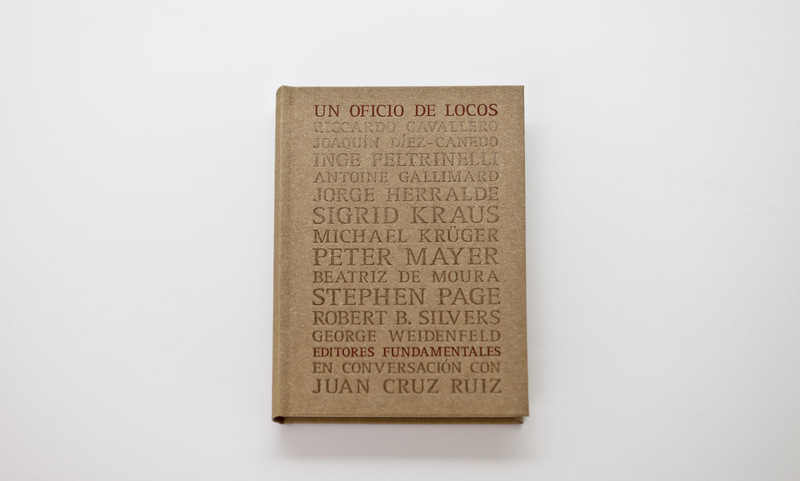 Leading Publishers in Conversation with Juan Cruz Ruiz inaugurates a new collection by Ivorypress entitled Ivorypress Essential. 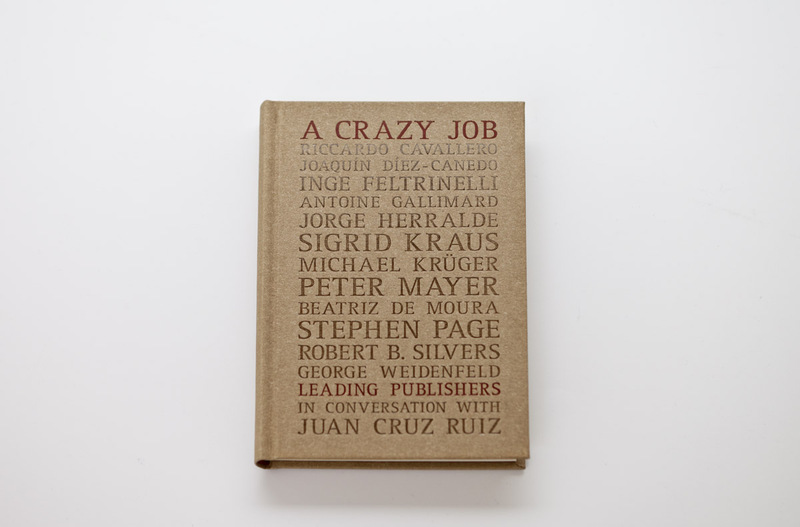 In this book, Spanish journalist Juan Cruz Ruiz interviews some of the most prestigious publishers from all over the world about their careers, the future of books, and the figure of the publisher, at a key moment for the industry. 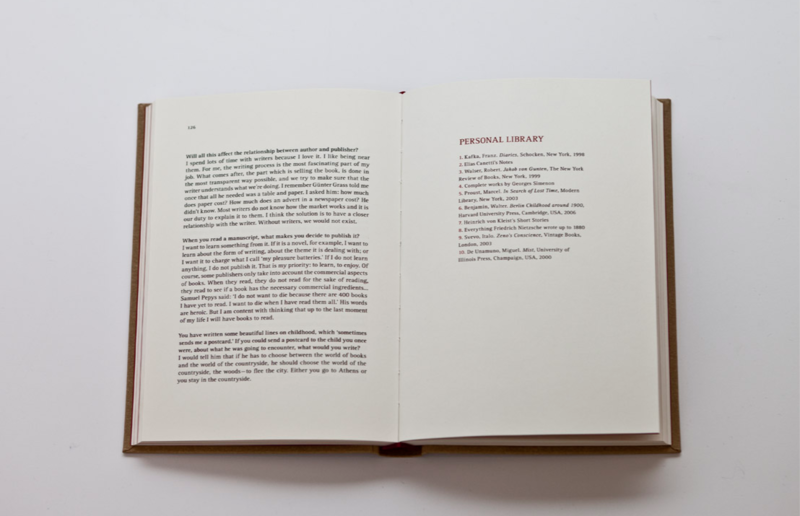 Among those interviewed are: Riccardo Cavallero (Mondadori), Joaquín Díez-Canedo (Fondo de Cultura Económica), Inge Feltrinelli (Feltrinelli Editore), Antoine Gallimard (Éditions Gallimard), Jorge Herralde (Editorial Anagrama), Sigrid Kraus (Ediciones Salamandra), Michael Krüger (Hanser Verlag), Peter Mayer (The Overlook Press), Beatriz de Moura (Tusquets Editores), Stephen Page (Faber and Faber), Robert Silvers (New York Review of Books) and George Weidenfeld (Weidenfeld & Nicolson).